It’s on!!! 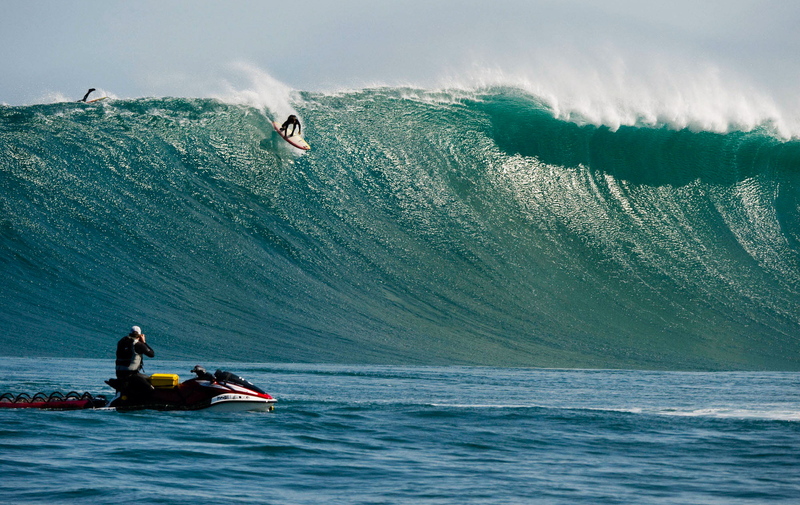 The time to whip out the ‘Big Guns’ is looming on the horizon as the monster that is Dungeons is set to come alive for the 2014/15 Big Wave World Tour (BWWT) following the announcement of the official tour schedule by the Association of Surfing Professionals (ASP). The BWWT will see the world’s finest big wave surfers tackle surf no smaller than 25ft and South Africans will witness the full power of Dungeons bearing down on their heads, so yes, there is definitely reason to be excited. Dungeons and Pe’ahi (Jaws) are new events to the tour and will hopefully add some big wave flavor to what looks to be a tasty treat for the contestants and big wave spectators around the world. Grant ‘Twiggy’ Baker, the current BWWT leader, will no doubt be chuffed to surf in his home waters and put on a show of a lifetime in front of a home crowd. All we need now is for ‘The Kraken’ to emerge from the depths of the Atlantic and kick up some serious swell when the times comes. For now, all we can do is wait…BRING IT ON!!! This entry was posted in News Desk and tagged Association of Surfing Professionals, big wave surfing, big wave surfing South Africa, Big Wave World Tour, big waves, Cape Town, Dungeons, Dungeons Cape Town, Dungeons South Africa, Grant Twiggy Baker, South Africa, surfing, surfing waves, Twiggy, waves. Bookmark the permalink.